Shoviv EDB to PST converter is the proficient and trust-worthy solution to convert EDB to PST in both offline and online mode. The software comes with the advanced algorithm which is capable of quickly recover damaged EDB emails into PST file format quickly and with an ease. Conversion of the entire mailbox of Exchange Database, EDB to PST file format. Migrating offline EDB files to Office365 and Live Exchange. No size limit when converting of EDB files to PST file formats. Option for the conversion of EDB files in different file formats PST, HTML, MSG, MSG Unicode, CAL, VCard, etc with safer access. 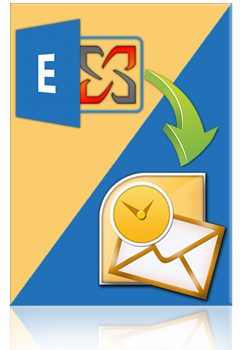 Conversion of Public and Private EDB files to Live Exchange mailbox. Corrupted EDB files into PST mailbox recovery. Preview option to preview data before converting to EDB to PST file format. EDB to PST converter supports all editions of MS Exchange Server such as 2016 to 97. Free demo version to examine EDB to PST converter efficiency. The EDB to PST converter is the straightforward and bugs free utility that allows the users to load multiple EDB files at single instant so that EDB mailbox can process for conversion and later save them into different file format such as HTML, MSG, EML, PST, CAL, RTF, VCARD, VCAL, MSG Unicode etc. The software comes with an enhanced feature which can capable of quickly scan the damaged and deleted EDB files from the mailbox and export them into PST file formats. The conversion is done rapidly without any hindrance. The EDB to PST converter software allows the users to with the preview option so that users can preview the EDB mailbox data along with its attribute. With preview option, the users can keep a track of their files while exporting into EDB to PST with an ease. The advanced features of this software can export EDB to live exchange and Live Exchange Archive mailbox. The tools of this software are capable to mapped Live Exchange Server using the filter option and backing up EDB mailboxes into Live Exchange which can be done by EDB data transfer into Live Exchange Archive. The EDB to PST Converter Software efficiently exports EDB to Office365 and Office365 Archive mailbox for cloud-based services. The software not only exports EDB mailboxes into Office 365 Archive which can be saved on the cloud but is also capable protect and retain EDB data while export EDB mailbox to Office365 for the cloud. The additional and profitable feature that this software is allotted with is that split option for large EDB mailbox. The Split option allows the users to split large EDB files to multiple PST file formats according to size and number of files the users desire. The EDB to PST software is proficient solution for the users which permits them to access multiple EDB files within a single instance so that the users can works accurately while converting EDB to PST. The EDB to PST converter software comes with special features which allow the users to split large EDB files into a small number of PST files while converting EDB to PST by split option. The Splitting may take place according to size and number of files chosen and the users can get the desired number of PST files. The software helps the users in managing and maintaining the hierarchy properly so that the EDB files can be maintained properly without disturbing the order of emails and data within it. The Software is defined with highly advanced tools which are capable of working towards Pub and Priv EDB mailboxes. The tools do not restrict the users to work with any specific mailbox. The software to convert EDB to PST files work efficiently in both ANSI and UNICODE PST formats. The software supports entire version of Microsoft Outlook, MS Exchange and Window OS flawlessly so that you don’t have to worry about the type of version use while converting. The EDB to PST software cost-free mode provides assurance to the users about the product reliability, efficiency, and quality. The cost-free mode allows the users to convert first 25 items of EDB mailbox to PST file format and the users can preview that data which define the capability of the product.